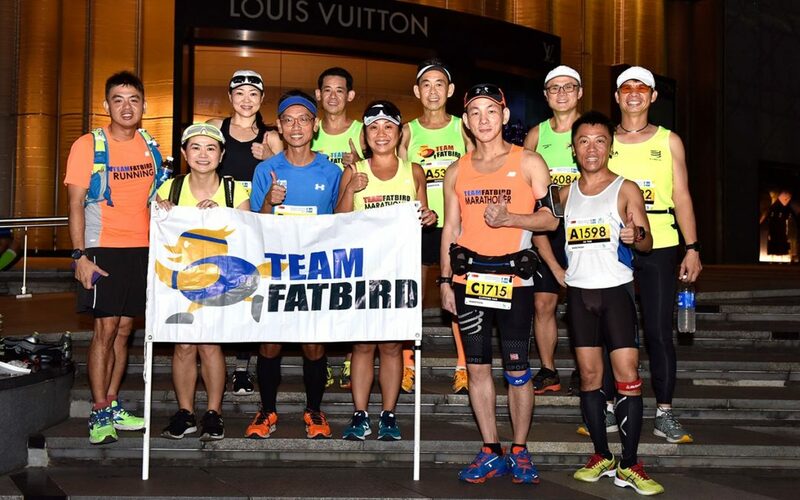 After 12 weeks of structured marathon training, Team FatBird marathoners (Sunbirds) gathered at the heart of Orchard Road for the biggest marathon in Singapore, the Standard Chartered Singapore Marathon (SCSM) 2017. It was just as good that we asked all to go to the start point at 3:00am, for some were caught up with the long delays at the baggage deposit. Our Sunbirds managed to squeeze out in time to get into their respective pens. 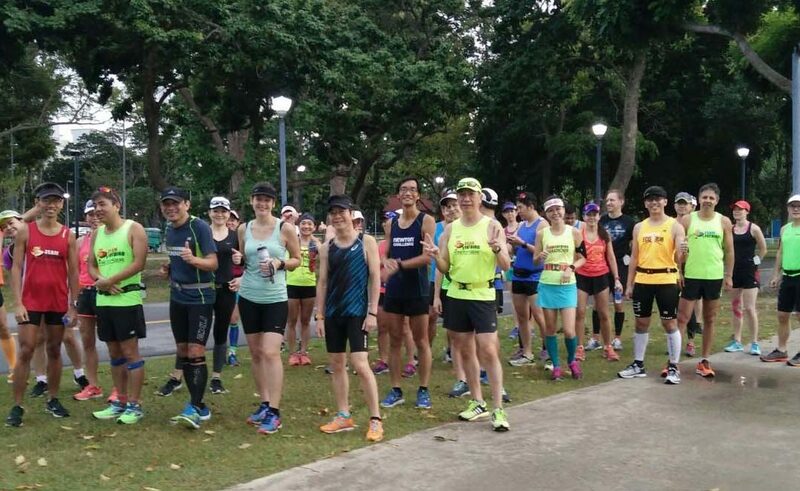 With a new route this year, and the promise of better race organization and experience from Ironman, many of us have signed up for this SCSM race when registration opened early in April. And we were not disappointed. The group of FatBirds which gathered at the Shaw House had our light warm-up routine before proceeding to our respective pens at 3:45am to have sufficient time to get a nice spot in our respective start pens – the early bird catches a good spot. Ala Marathon-Majors style, the National Anthem was played before the runners were promptly flagged off in their respective pens. 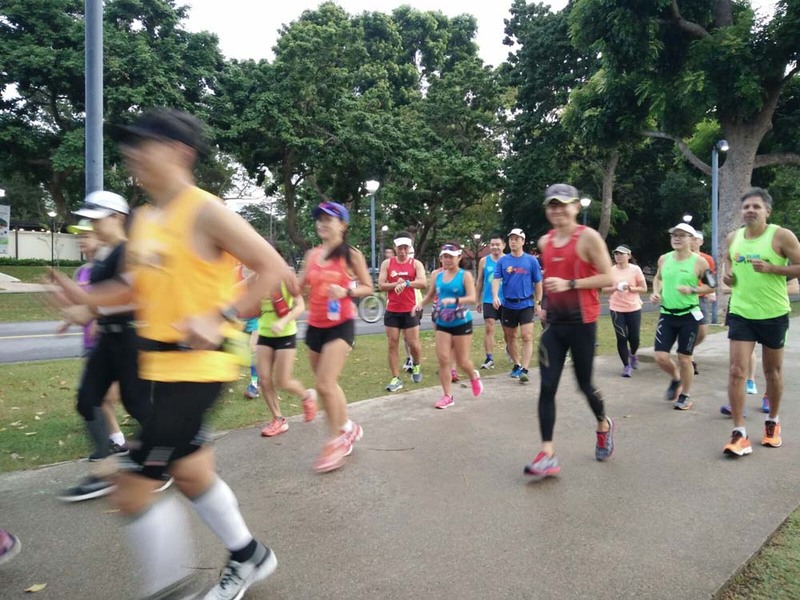 With the corral system, there was a lot less blockage by slower runners and the traffic was rather smooth. The weather was rather humid, probably due to the thick rain clouds which threatened impending rain that did not come. 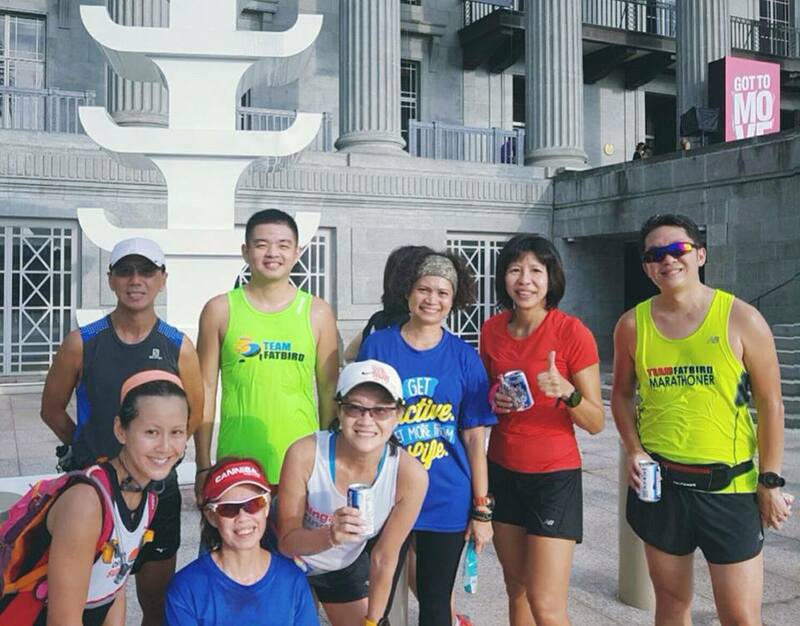 The first 10km had us running along iconic spots along downtown and Central Business District area. 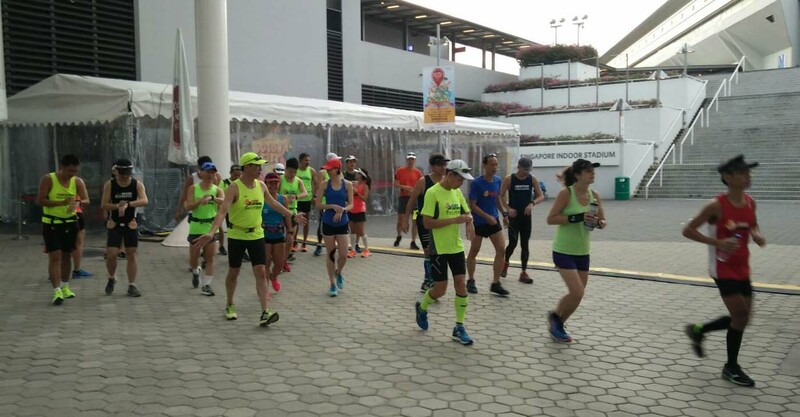 Because of the tall buildings and interferences, we could not depend on our normally trusty GPS watches for pace readings, and had to judge based on our Heart Rates and Rates Of Perceived Exertion (RPE). I started conservatively at 5:00min/km according to race plan, and moved up the pace to about 4:50min/km after 5km. I reached the 10km mark in 48.5min, which about confirmed that my pace was right on schedule. My left ankle started to give me some trouble (I accidentally twisted it 3 weeks ago at a rainy training day in ECP). I had to manage the pain and disturbance by focusing on my mission at hand. As I maintained about 5:05min/km effort, I was able to reel in many of the early fast starters who were slowing slightly after 10km…hmm, maybe the weather was getting to them as well. 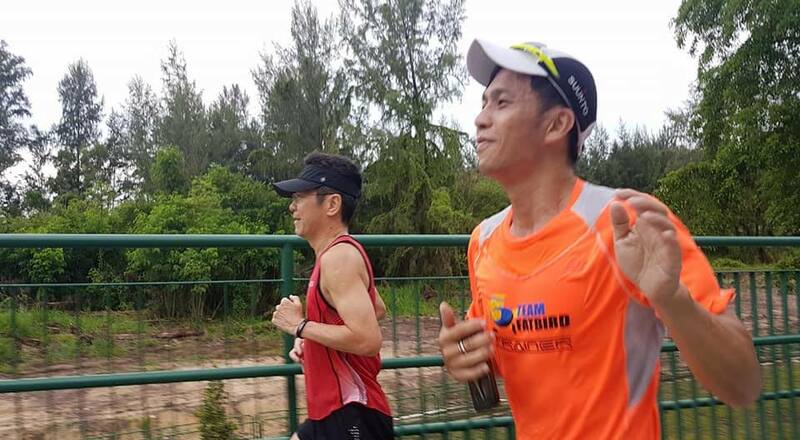 It was just a matter of maintaining pace without incidents all the way to Half Marathon mark. The water stations were long and well spread out, at least giving us the front group of runners ample space and time to grab our drinks. The bananas I must say are huge and quite a mouthful hahaha. I crossed the HM mark in 1:44h and was feeling good other than the nagging left ankle. The segment into and out of ECP is always a dread as I am very familiar with the hard ground of the route (which will not do much service for my painful ankle). Still, I pushed on. 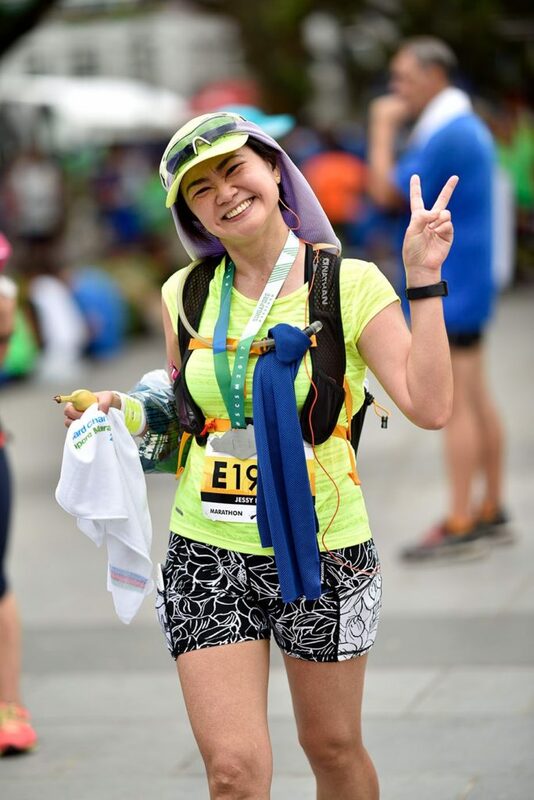 I took a gel (compliments of the support station at 8.8km mark) at the 15km mark and another electrolyte tab at the 25km mark. 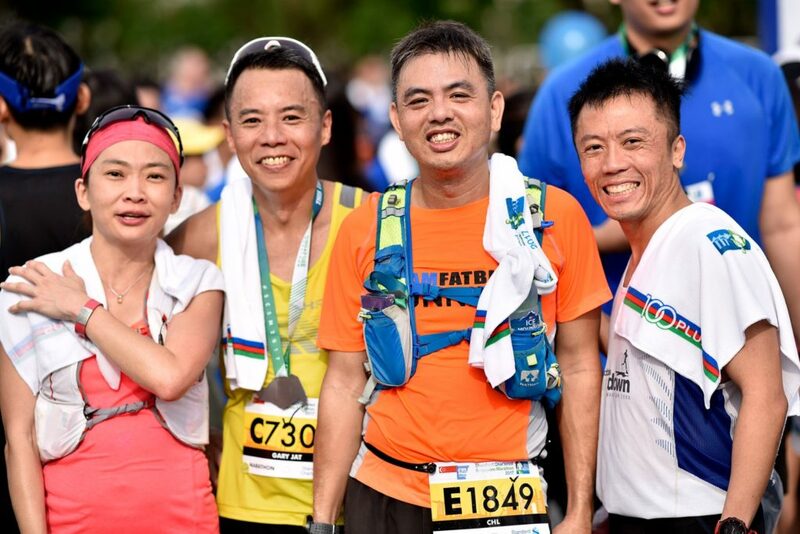 They kept my energy and electrolyte tank in balance to sustain to the 30km mark. 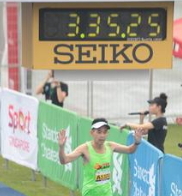 After crossing the 30km mark in 2:29h, I was bracing for the real marathon race to begin. 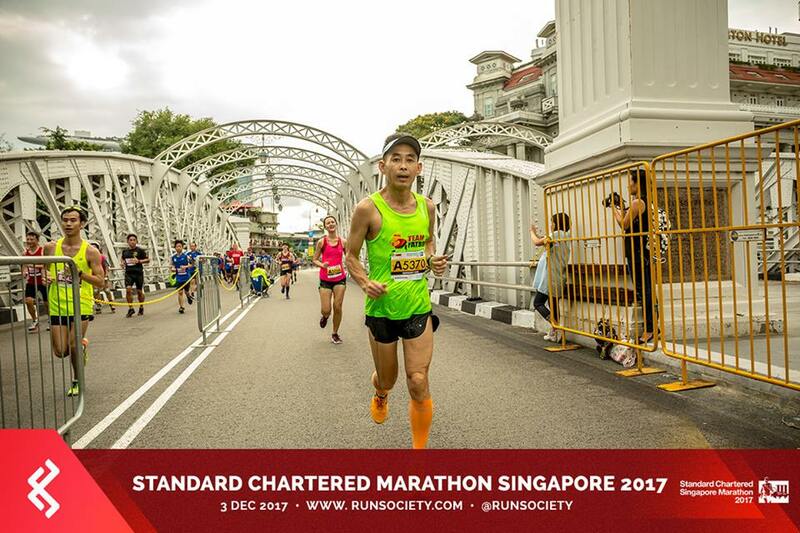 The final 12km is where it will make or break any marathon race. A body check told me I was still running ok in all departments, with no impending muscle twitches due to fatigue or heat. I continued on from here still maintaining a 5:05 pace. Dawn has broken by then. The increasing pain from my ankle was helping me to stay awake (I did not sleep the night before) as I pushed on towards Sheares’ Bridge. There was a crowd of Half Marathoners as we merged with them. Fortunately there was some space on the right for the few of us Full Marathoners to pass through, although moving into the water stations on the left was a challenge – I had to stop dead in 1-2 of those stations. Then I heard a shout and saw a wave just before going up Sheares’ Bridge. It was our support crew of Rand and Eddie who braved the elements to capture some cool shots of Sunbirds and FatBirds in action. I posed for a nice shot before jogging up the arduous stretch of ‘HeartBreak Bridge’. I had to weave through the army of walkers up the Bridge. And then the right Hamstring threatened to cramp once I reached the top, and was working my way down. Damage control was implemented with a slight change to running form. The right leg was working overtime to compensate by the weakening leg due to the ankle. And then it was 4km left to go. I slowed down to about 5:25 pace just to keep the cramps at bay. It was great this year that there were barricades separating the Full Marathoners from the Half Marathoners/10km. 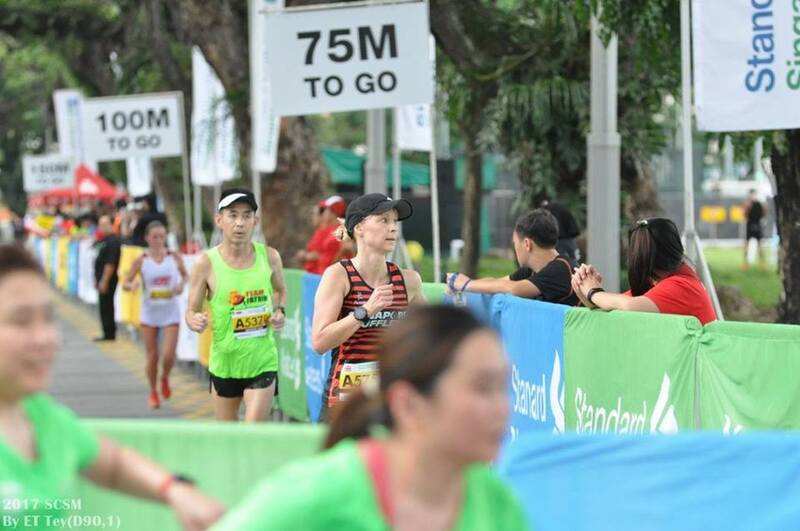 It made it a lot less painful to have to weave through the crowd in the final km of the race. With 1km to go, I spotted a fellow FatBird who was walking and urged him to continue for a strong finish. At that point, I no longer have any fuel nor will to want to push. I just wanted to complete the race strongly. When I looked up the timing as I crossed the finish line, I was happy to see 3:35h – which meant that I have qualified for Boston Marathon for my age group. 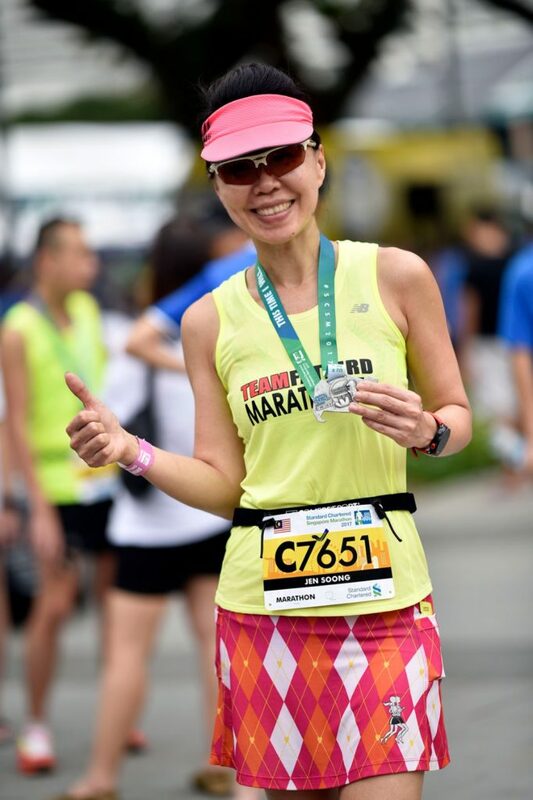 And to think I did it at SCSM (hot and humid weather) gave me a good sense of satisfaction* (I have already qualified for Boston18 at the Gold Coast Marathon in July 2017 with a 3:18h timing). 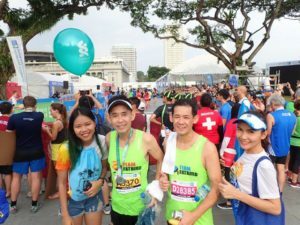 Once I collected my medal and finisher tee, my calf cramps erupted as I started to walk. I had to spend 15min of stretching and hydrating before resuming to meet the rest of the Sunbirds at our designated meeting point. We cheered and congratulated all the Sunbirds as they returned, mostly with very good performances in spite of the challenging race conditions. Team FatBird’s Program PowerFLIGHT Speed & Strength training will commence operations in January 2018. 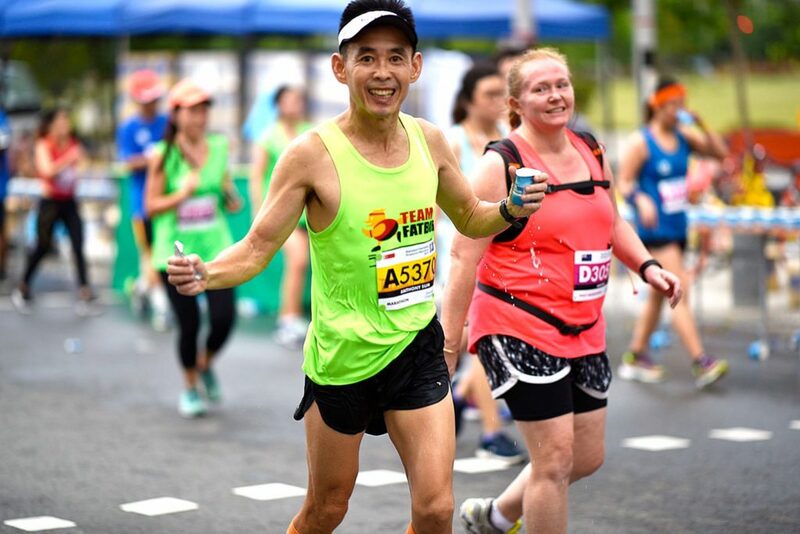 Runners and marathoners looking to up the ante on their speed and strength with enhanced performance are encouraged to sign up for PowerFLIGHT to benefit from structured group hills, track, intervals, high tempo training led by qualified and experienced Team FatBird marathon trainers. Training Program details and registration HERE! 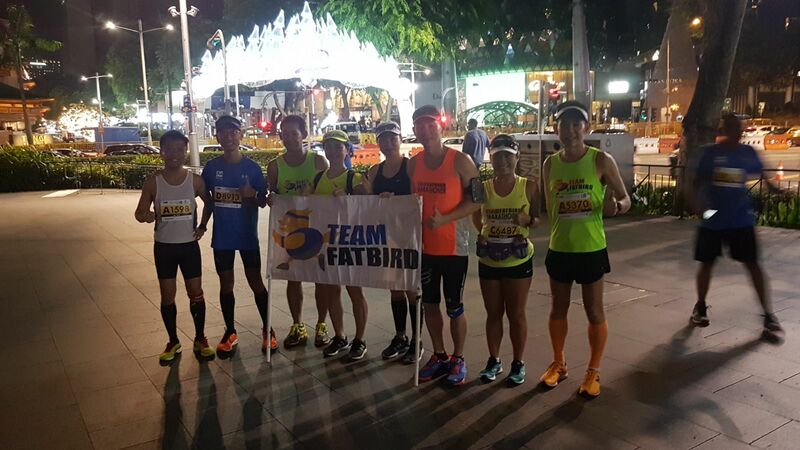 Team FatBird also has a Corporate Run & Marathon Training Program to prepare employees and running clubs of companies and institutions for local and international running races. Write to info@teamfatbird.com OR Check Out Program Details Here! 12 weeks have passed in a blink of an eye. 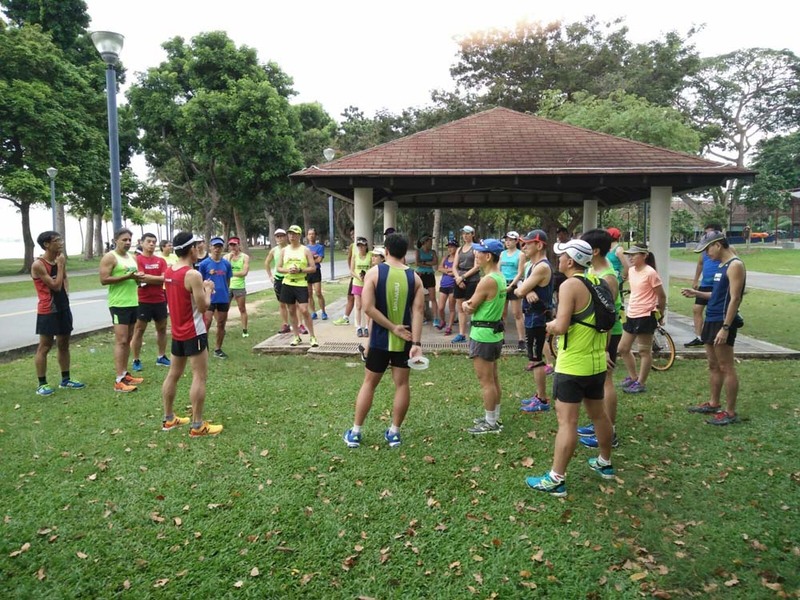 Next weekend is the final test for all the Sunbirds who gathered for their training program finale run at ECP this Sunday morning. 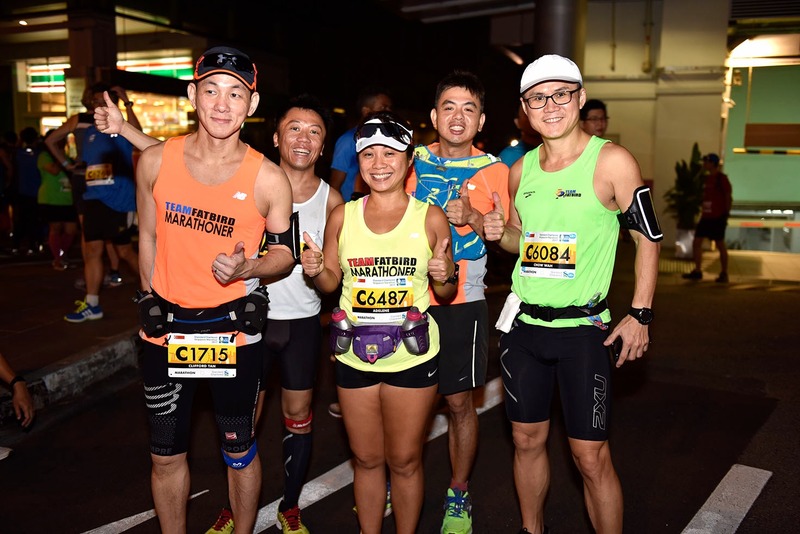 Armed with 12 weeks of base-building with good doses of strength, speed and pace training under their belt, the Sunbird marathoners would gather for one final session to hone their final marathon preparations for the SCSM on 3 Dec. 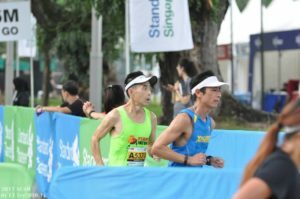 The Optimal Paced run in their respective timing groups would have them run portions of the race day routes for 13km (HM) and 18km (FM). 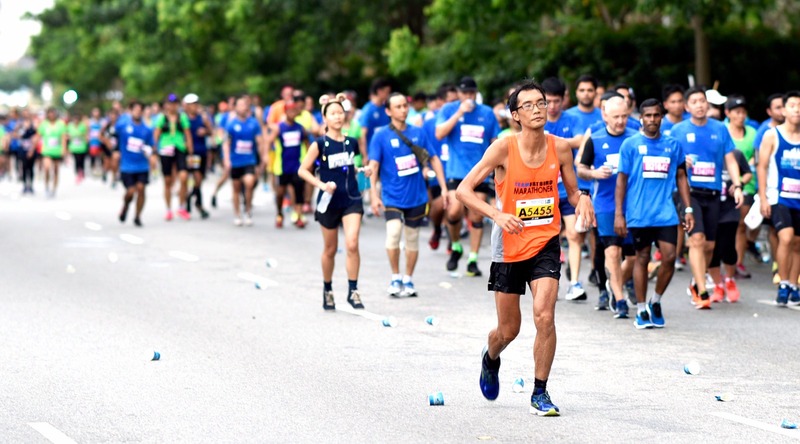 As a simulation for race day, most were dressed in their race armour and shoes, starting conservatively at Marathon Pace (MP) for 3-5km before progressing on and sustaining Optimal Pace (OP) for the remaining km. 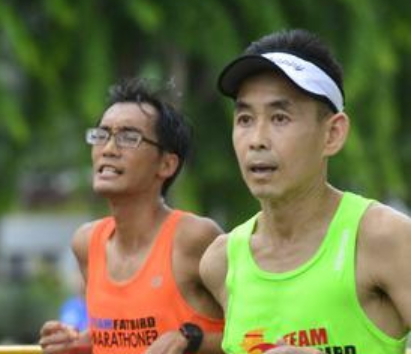 By now, the Sunbirds are very familiar with the success formula and focused on executing their respective race plans to a tee. 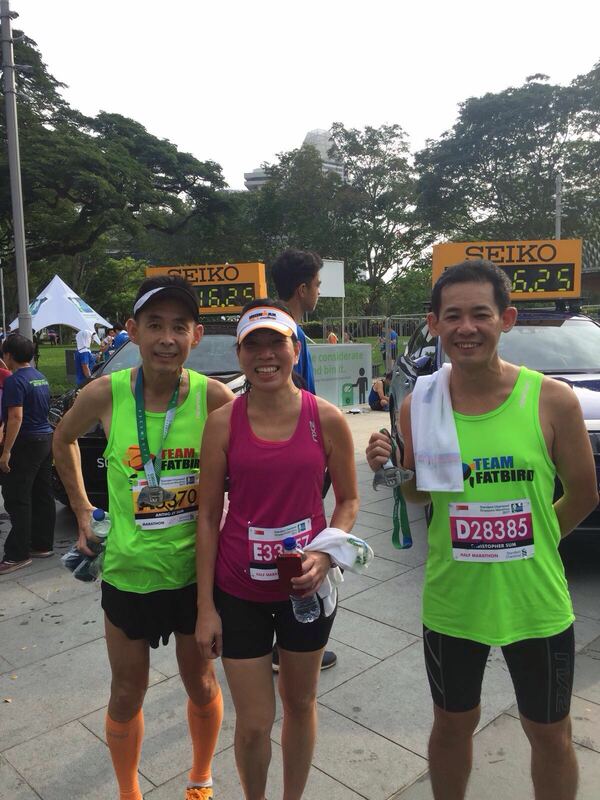 They all finished the 2-hour run feeling good and confident for a good showing on race day. The Sunbird Trainers conducted briefings on the race routes as well as preparations in the final week for a successful run at SCSM17. We are happy that all Sunbirds have progressed to this stage of training with strong showings of improved aerobic base and speed endurance, with a relatively good injury-free record. The Sunbird Trainers have enjoyed every bit of the 12-week program as much as what we hope the Sunbird trainees would have relished and benefited from. We would like to thank all Sunbirds for your confidence and patience with the training program. The stage is set for this Sunday’s important race. 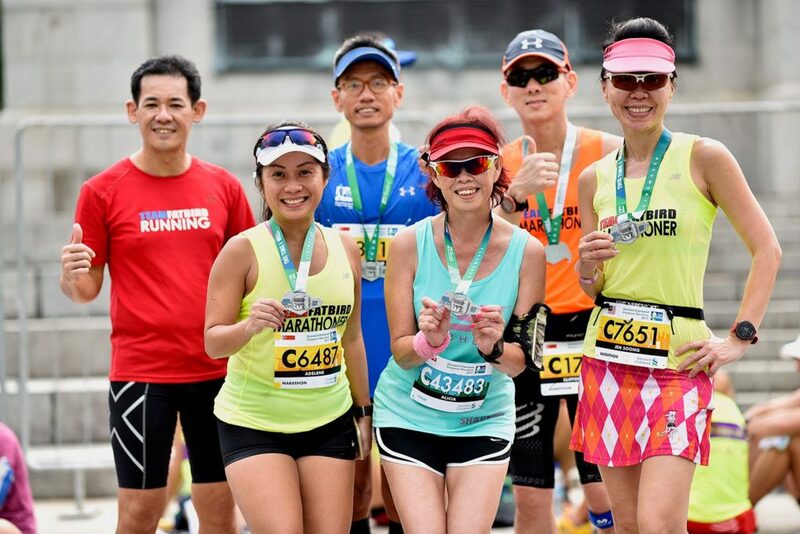 We wish all Sunbirds a fruitful and enjoyable run at SCSM, and may their commitment and dedication at training bring them the due rewards of hitting their marathon goals and Personal Bests. The Sunbirds Are Operationally Ready For SCSM17! 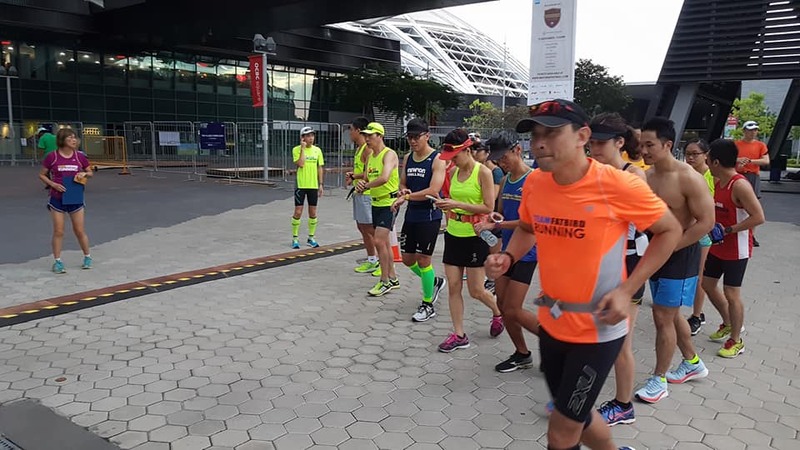 With the completion of 22km for the HM and 30-32km for the FM, the Sunbirds have reached their final milestone of the 12-week training program for the Standard Chartered Singapore Marathon (SCSM) to be held on Dec 3 morning. 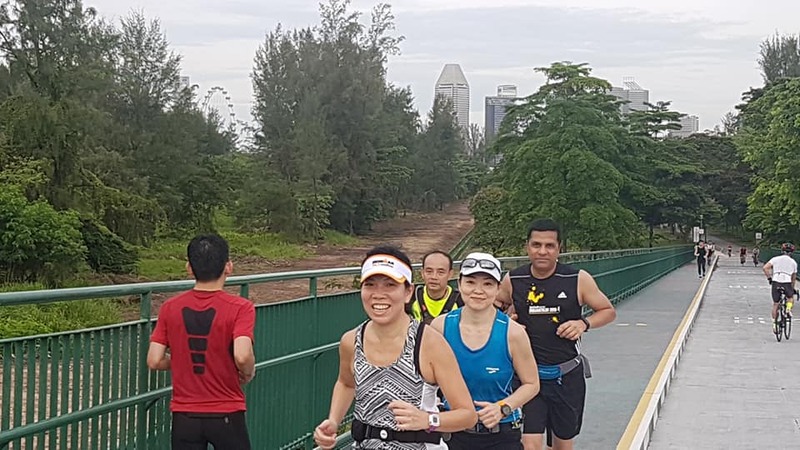 This morning’s fast-finish long run was executed at Marathon Pace (MP) for the initial portion, with the final 10km being ran at Optimal Pace (7-10s faster). 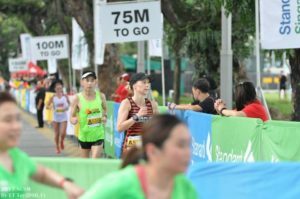 This was to prepare the marathoners for a steady (not too fast) start and run a negative split with a faster pace (on fatigued legs no less) on the return distance. 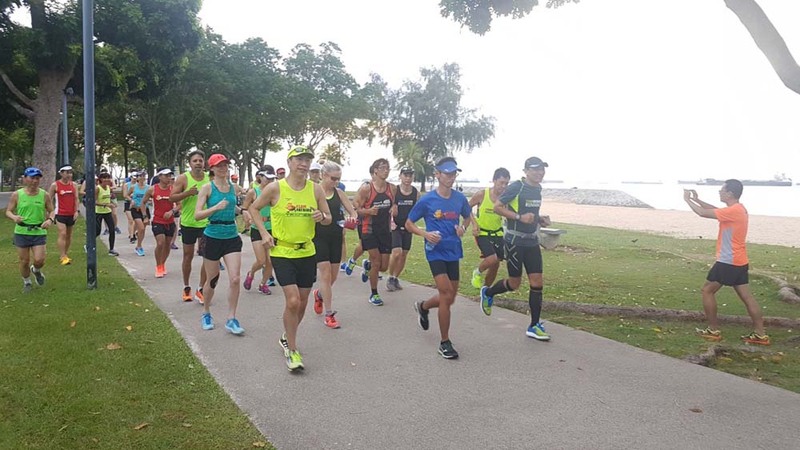 The Sunbirds have over the past training weeks built up a solid foundation and sense of good form and pace to execute these over 20s and 30s long runs well. Quite a difference in terms of marathon ability, running economy and pacing quality compared to when they first started with Ops Sunbird 2017 some 10 weeks ago. This morning’s workout saw an eventful turn on events with the lashing run and strong headwinds experienced about 1.5h into the workout. This provided the Sunbirds with a sense of running through challenging weather, be it in hot sunny temperatures or wet and windy rainy conditions. 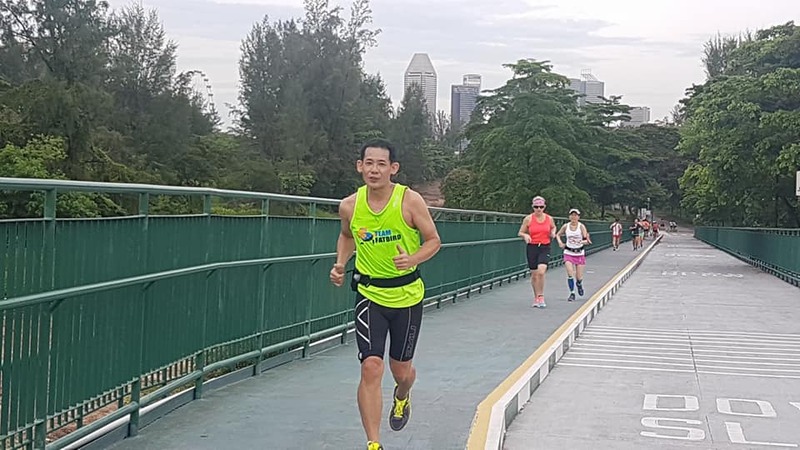 Some of the Sunbirds in fact did better with the rains bringing down their core temperatures and alleviating their Heart Rates for a stronger finish that would have been without the rain. 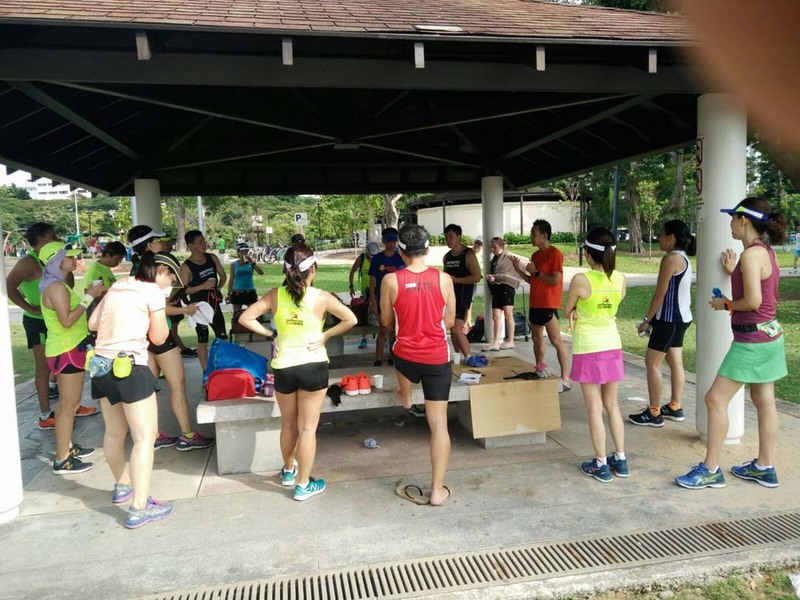 These long run workouts were also full rehearsals for the trainees to trial their race plans and equipment testing in simulated race day conditions. Adjustments will be made to fine-tune the paces and plans over the next two weeks of tapering for an optimal race. 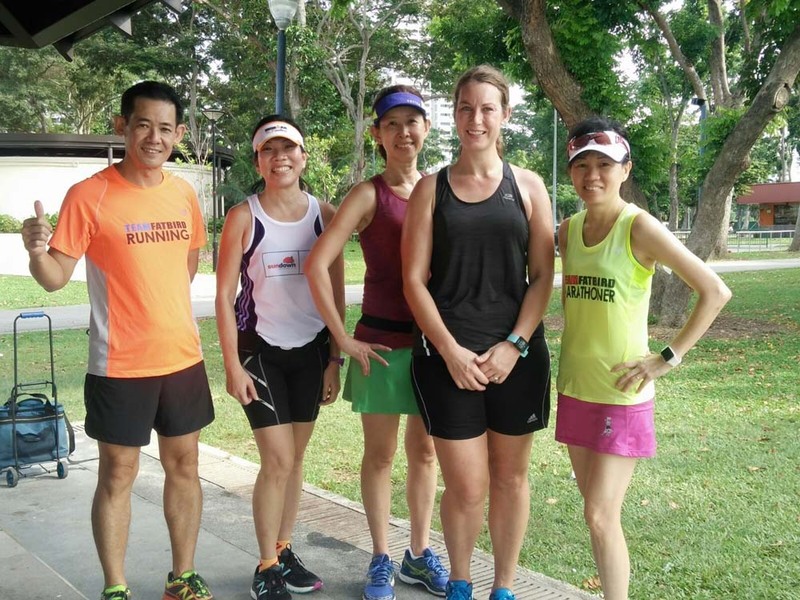 With the longest run aced, the Sunbirds enter into the Tapering Phase with reduced weekly mileage over the coming weeks, with training intensity maintained. This will also be a good time to look after minor niggles and aches, with more foam-rolling and myofascial releases to recondition the fatigued and tight muscles. The Sunbirds Are Ready For SCSM17! 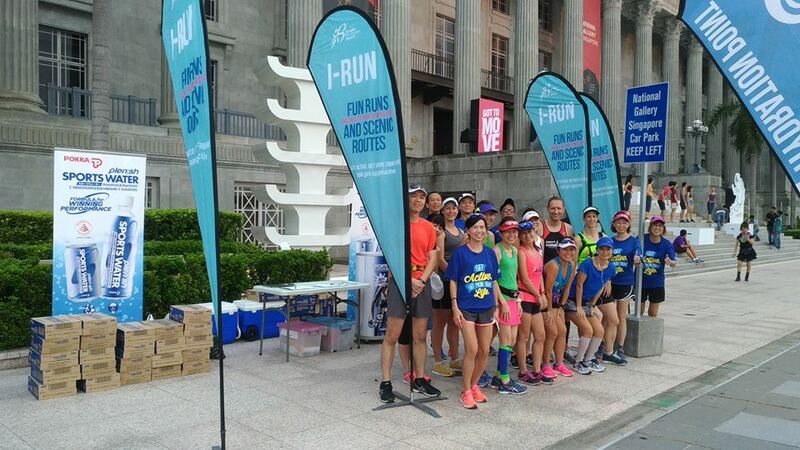 While the majority of Sunbirds were doing the Newton Challenge (32km) as part of their simulator long run @ Marathon Pace, the smaller group of mainly Half Marathon Sunbird trainees were at the front of the National Art Gallery for their 18km and 30km run along start and finishing portions of the SCSM (Standard Chartered Singapore Marathon) race routes. 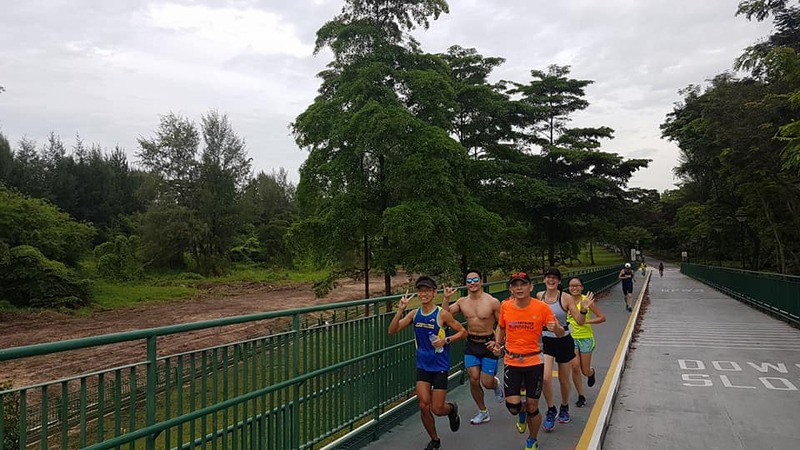 The training run for the Sunbirds were executed in a long tempo interval format with 2min of rest interval for every 5km of running at Marathon Pace (MP). 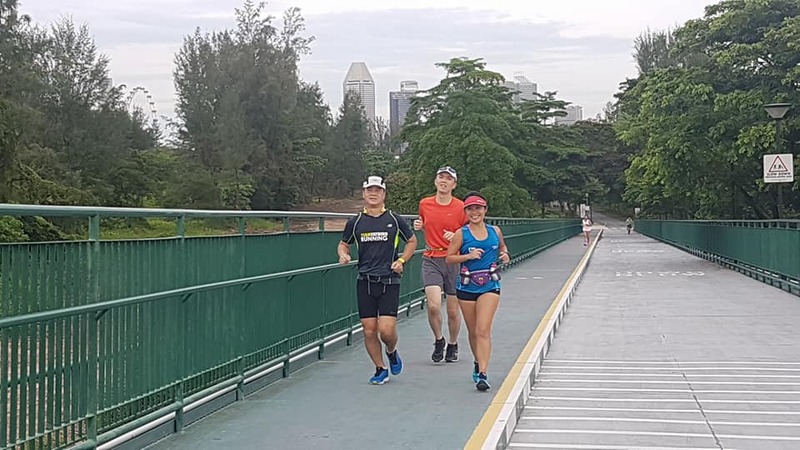 The first portion of the run brought us to Kallang Riverside Park along the serenity of the Kallang River on a pretty Sunday morning. 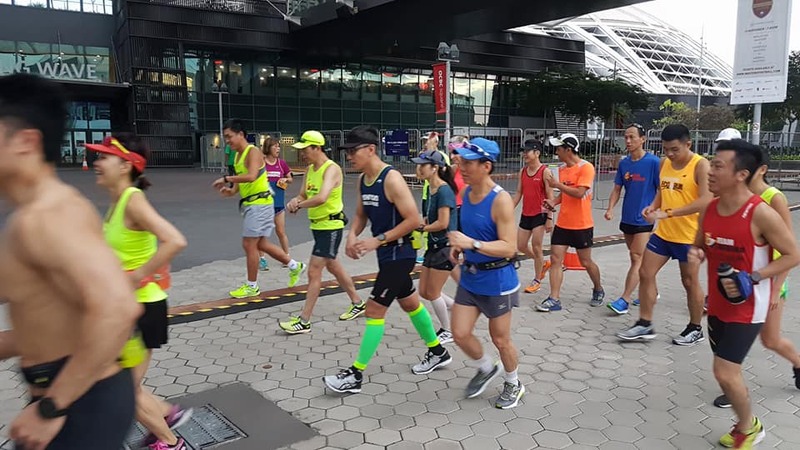 The first 10km was completed back the start point in front of NAC, where the Sunbirds were scheduled to run 5km loops around the City Centre (roads closure for CarFreeSundaySG) with refreshment (Sports Water, bananas) awaiting at every rest interval. 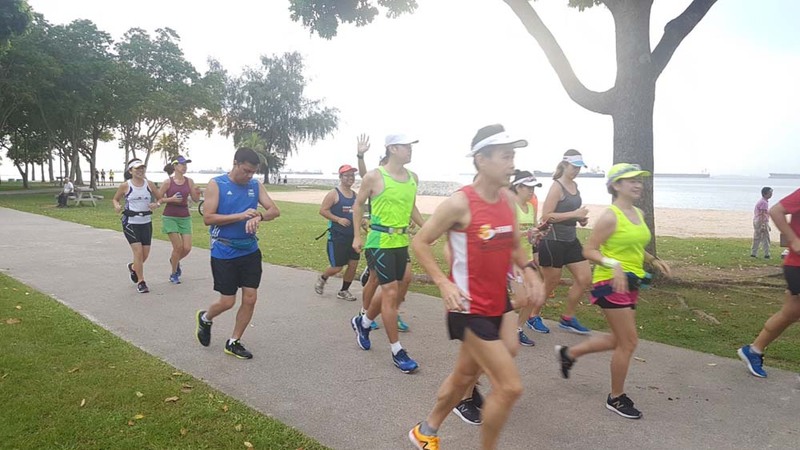 The training objective was to bring the trainees up to MP over the longer distances 18km and 30km with short rest breaks to help with sustaining target pace throughout. 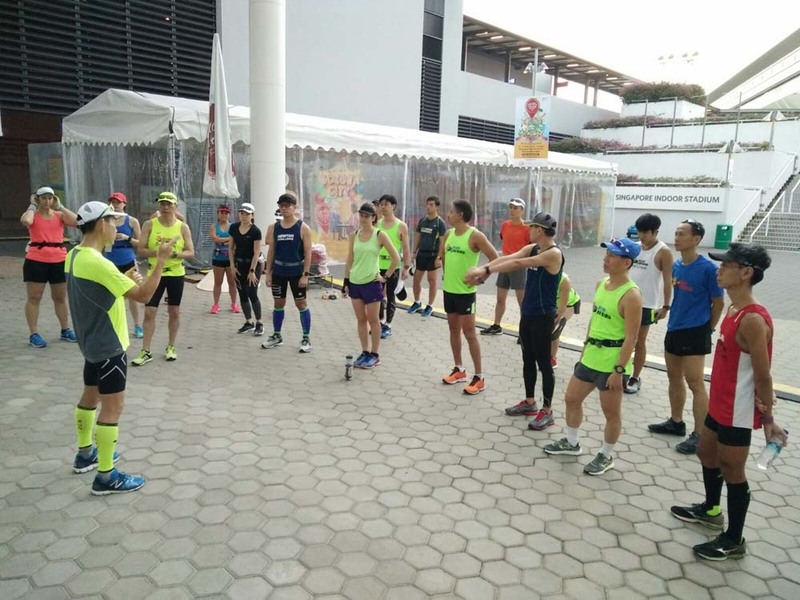 Under the guidance of their Sunbird trainers, the Sunbirds met their training objectives in spite of the challenges posed by the heat in the later part of the morning. After the training, we received bouts of good news of the sterling results of our Sunbirds who were at the Newton Challenge 32km. 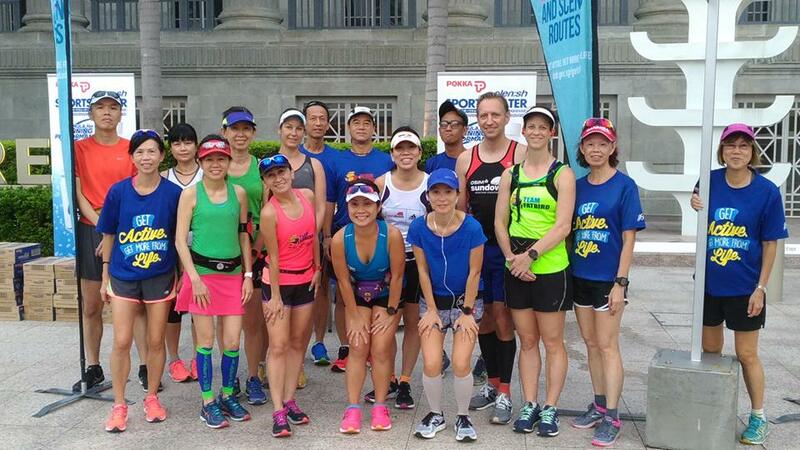 Many of the Sunbirds outperformed with Personal Bests and running much faster than their respective target Marathon Pace for the whole distance. 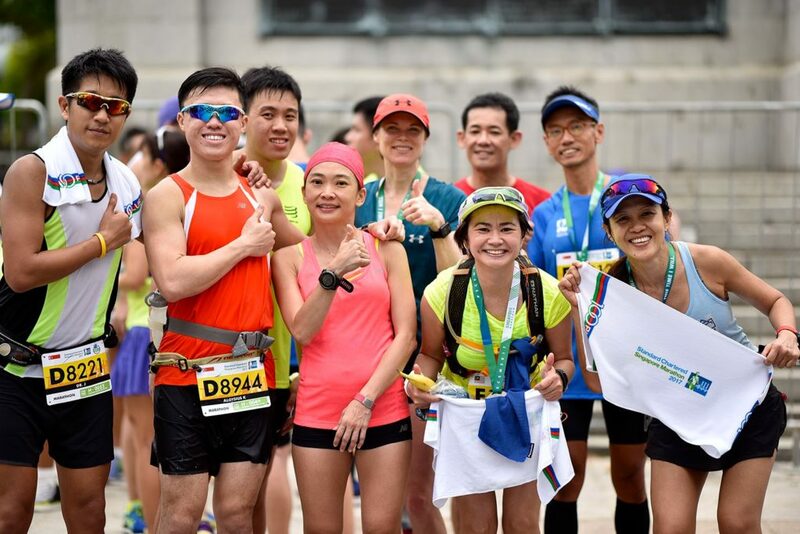 We would like to give a shout out to all Sunbirds for the smooth execution of their race and pace plan at the training and race, which will surely serve as a huge confidence booster for their upcoming marathon endeavors. With this good weekend of training and simulator racing, the Sunbirds progress into week #9 where they will do their longest run with high confidence levels of performing well at SCSM17. The Sunbirds Raced And Paced Well! 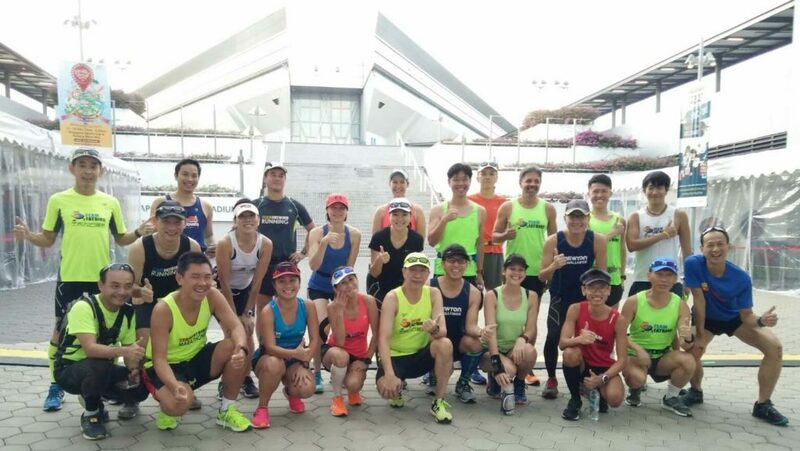 After 5 weeks of base building to hone the Sunbirds’ aerobic base and fuel efficiency, the Standard Chartered Singapore Marathon (SCSM) trainees embarked on the next phase of Pace Training in week 6 of the 12-week structured marathon training program. 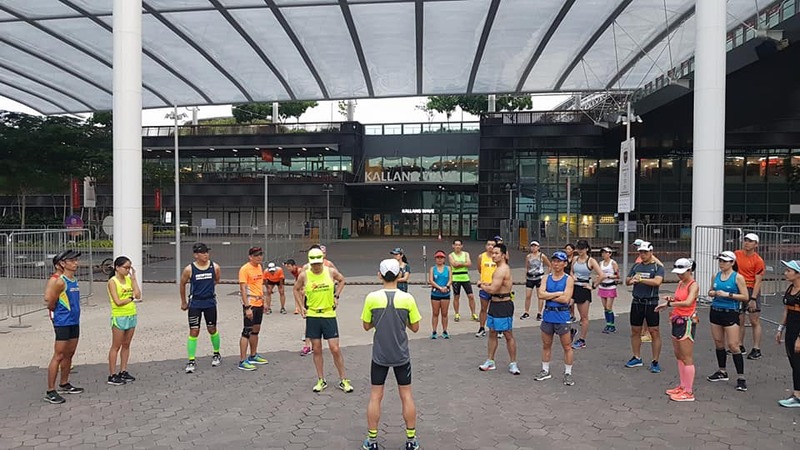 The 16km (for Half Marathon trainees) and 30km (for Full marathoners) were to be done in a progression model with first 1/3 of the long run workout at BaseBuild Pace, the middle 1/3 distance at BaseBuild Pace -10s/km, the final 10km at Marathon Pace. It will also be a trial of sorts for the Sunbirds to test out their draft hydration and fueling plans. 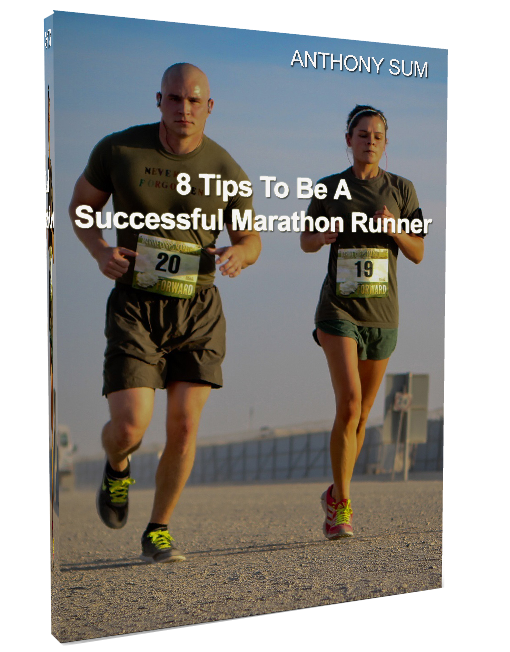 For many of them, it will be a breach into new territory in terms of new distance reached at goal pace training. The first half of the workout was well executed according to pace, although some Sunbirds went out a little more aggressive than planned. 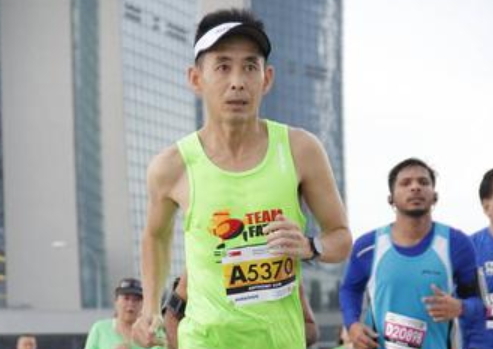 The price was paid in the second half of the run, especially after 21km with fatigue setting in earlier than expected. 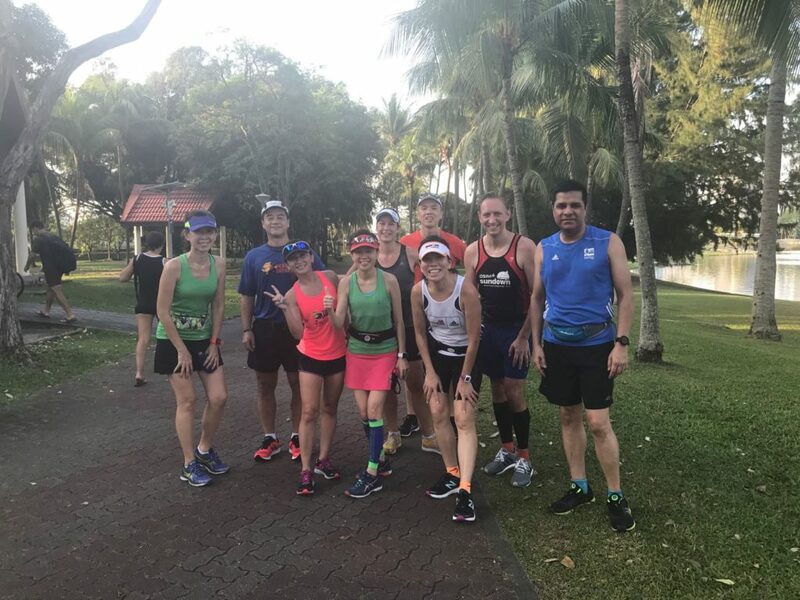 However, the majority of the training group did well to sustain through for the full 30km, albeit having to dig deep after running out of glycogen and hitting an early wall. 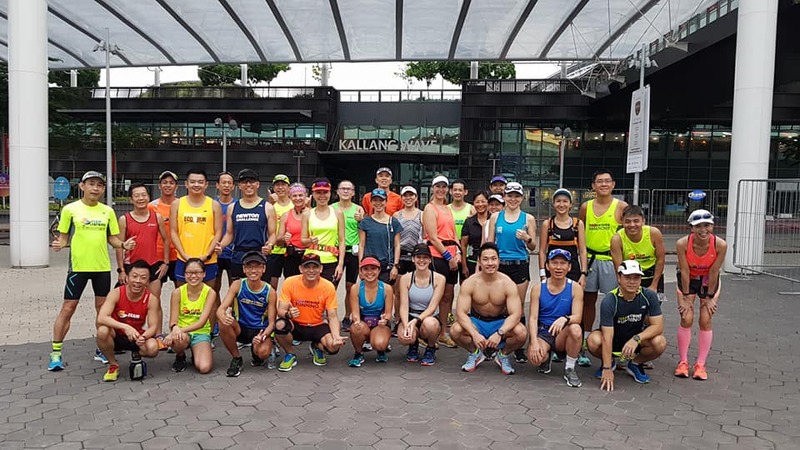 Definitely a good learning experience for the trainees which can bring them to a new level of preparedness for the remaining weeks of pace training and eventually on race day. The training team was happy with the resilience and commitment of the Sunbird trainees to grind through this important training session. The trainees too were delighted with their own performances in what was new territory for many of them. 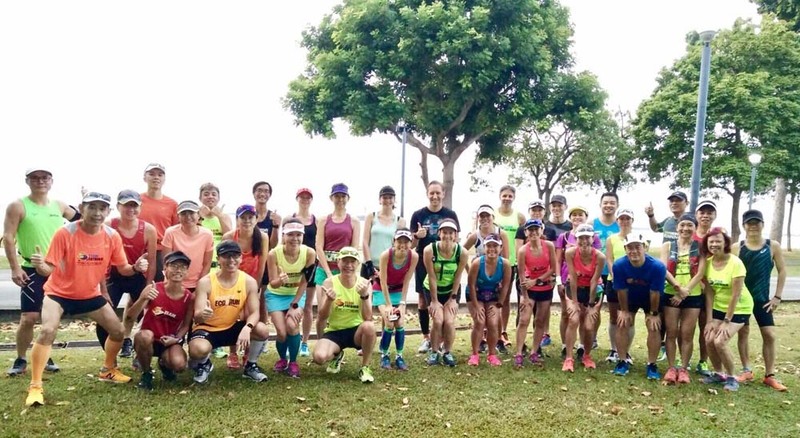 The next two weeks of training will have the Sunbirds transitioning to Marathon Pace, with some fast-finish long runs in store. 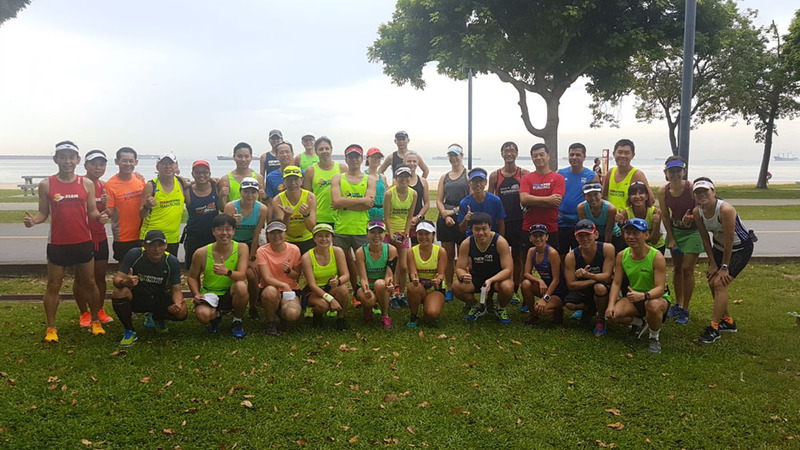 The Sunbirds will surely be looking forward to doing a few more 20ks, 30ks to hone their preparedness for a solid race in December.